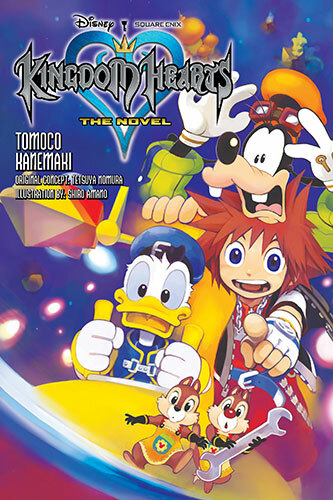 After what seems like a long long time, this past March Yen Press finally released Kingdom Hearts: The Novel as a single black & white collected manga. Just one that happens to be over 300 pages long! “On the Destiny Islands, three children–Sora, Riku, and Kairi–are living out their peaceful, carefree lives while yearning for whatever lies beyond the great ocean. But one night, an unexpected disaster takes place, and the three are torn from each other and their island home. Meanwhile, at Disney Castle, Donald Duck and the other castle residents are in an uproar upon discovering King Mickey has suddenly gone missing. 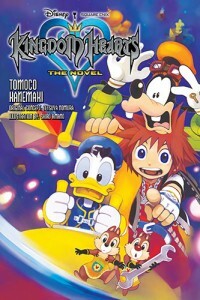 When fate brings them together, Sora, Donald, and Goofy set out on a grand Disney adventure to find their friends!” Find it over at the Yen Press web site. It’s written by Tomoco Kanemaki and illustrated by Shiro Amano, based on the original game concept by Tetsuya Nomura.